How the iPhone Changed Visual Communication #infographic ~ Visualistan '+g+"
Wake up to your alarm. Check some emails, then the status of your morning commute. Listen to your favorite song. Secretly snap a photo of the dog on the train. Read an article about productivity, then check some things off your to-do list. Chat with friends. Map directions to tonight’s restaurant. Remind yourself to buy milk. All on your mobile device. 10 years ago on June 29th in 2007, Apple launched the iPhone, the world’s first multi-touch smartphone. Since then the iPhone has revolutionized our visual communication, from the rise of vertical video and a new world of UX design, to real-time journalism and ubiquitous, user-friendly photography. 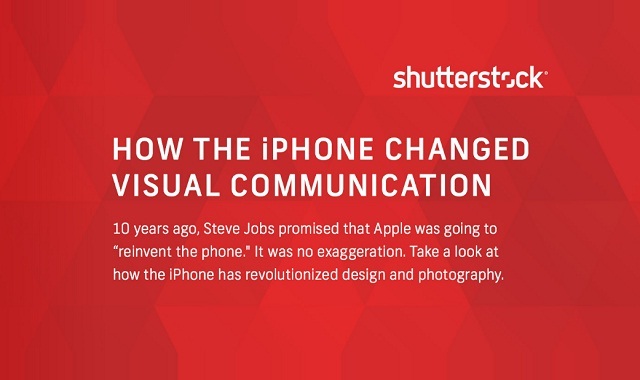 Explore this infographic to see how the iPhone has changed the visual communication.